I am not getting any paid from blogging nor make money from advertising. I just contribute my time and knowledge towards Malaysian education on volunteer basis. 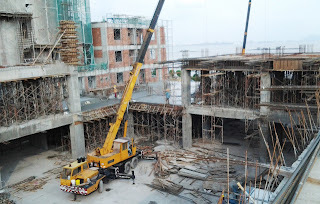 For those who are greatly blessed by this blogsite, I sincerely appeal to your generosity to contribute towards my church building fundraising project. Every cents count. Thank You So Much! This building is on a 2.33 acre piece of land acquired 10 years ago. 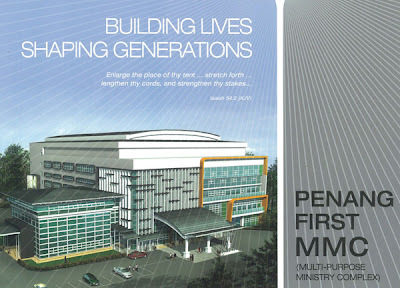 The entire cost of this project is RM24 million and is expected to be completed by the end of 2013. With just about 30% of the required costs to be raised, we appeal to your generosity to make this vision of the ministry complex a reality.